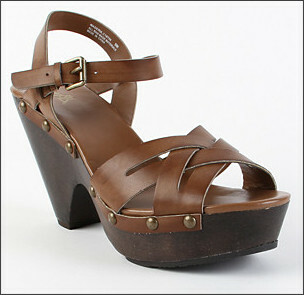 Hot Sandals & Shoe Sale at PacSun! ($8 Sanuk Sandals! & $10 Roxy Flip Flops!) + 20% cash back!!! If you're looking for some cool kicks for summer, I have a super hot deal for you! Currently PacSun is offering some great deals on select shoes! Plus, all weekend they are offering FREE SHIPPING! Use code CPOLOGY15 to get an additional 15% off! 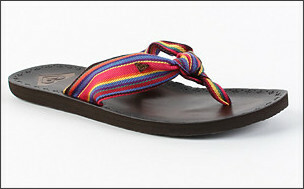 These Roxy Bora Bora Sandals are marked down to $24.99 plus they are an additional 50% off! When you add the promo code, the total drops to only $10.62! If you're into super comfy (yet stylish!) sandals, you may wanna grab these Sanuk Yoga Gossip Sandals that are on sale for only $9.99 (down from $30!) . . . and with the promo code they're only $8.49 SHIPPED! 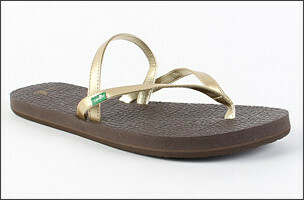 Also for only $8.49 you can get the Sanuk Yoga Mat Sandals. They come in a bunch of colors & have awesome reviews!!! I also found these MIA Madiera Wood Bottom Heels for only $10.62 (after promo code! ), down from $39.50! Sizes are a bit more limited on these babies, so act fact if you want 'em. As part of the Memorial Day Sale, ShopAtHome is offering an enormous 20% cash back (it's normally just 5%!) when you go through the site first!!! Make sure to type "Pacific Sunwear" in the search box.